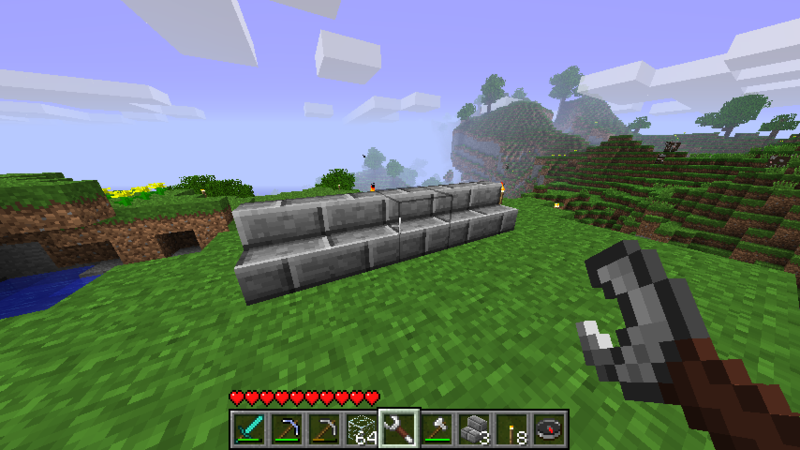 In New Frontier Craft 1.8.6, the placement of stairs and slabs has been overhauled. 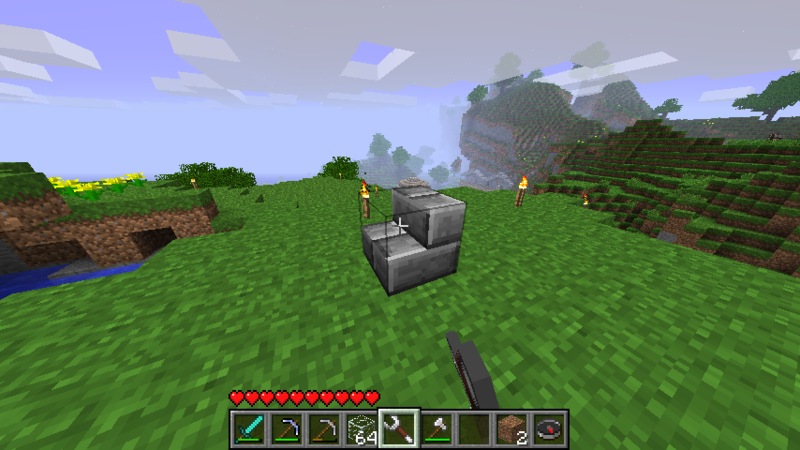 Just like in modern Minecraft, you can place a stair or slab upside-down. 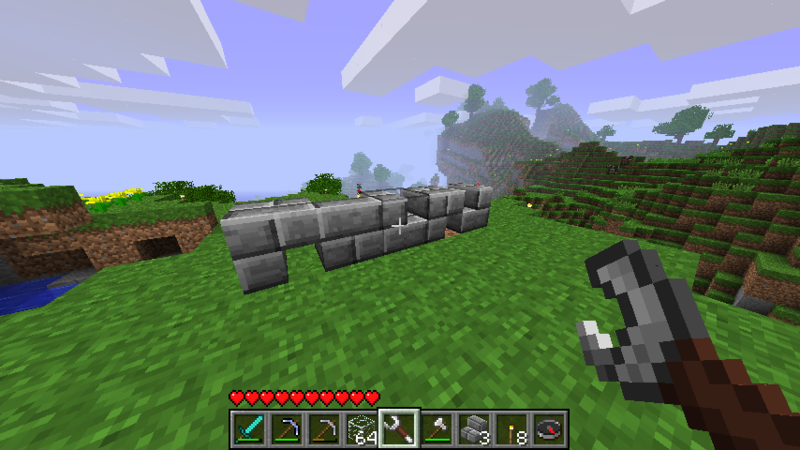 However, a new thing that modern Minecraft does not do is sideways slabs. 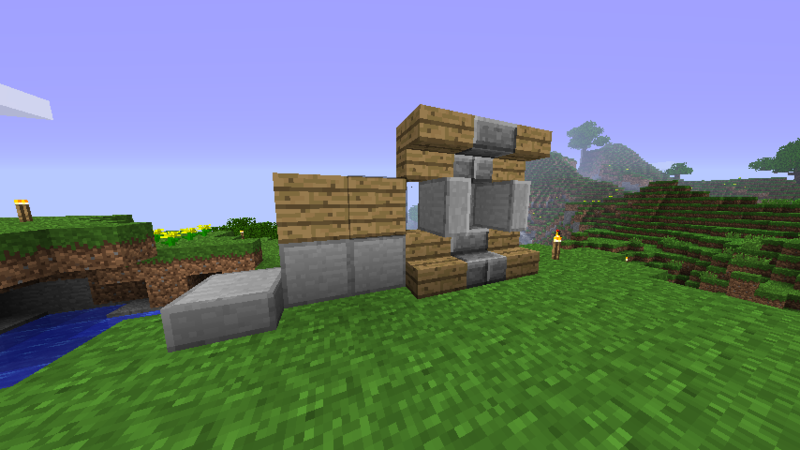 In New Frontier Craft, you can also place slabs sideways. You can see in this screenshot that with this new ability, stairs and slabs can be placed in many new orientations, and you can enhance your builds by giving them more detail. Look at how messy my stairs are! I want to fix them, but I don't want to go through the trouble of replacing them all! However, there's a solution for me. You can see in my hand there's a new item. That's a wrench. 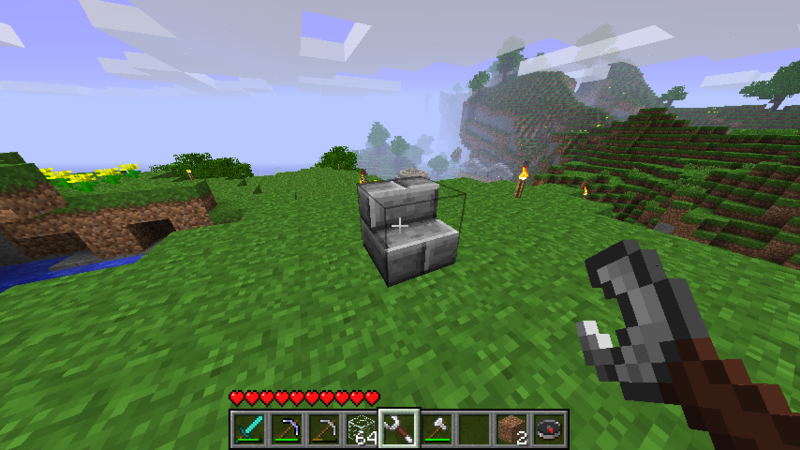 The wrench is an item that allows the player to rotate stairs and slabs. It is crafted with three iron ingots and one leather, and has unlimited durability. This will make it much easier to place stairs and slabs the way you want, especially with all of the new options available. In front of me, I have a single stair block. I can simply use the wrench on all of these stairs as many times as it takes to straighten them out. With the wrench, using the new stair and slab placement should be very easy. You can easily fix a misaligned stair or slab, and stop fighting for a very specific position when placing stairs or slabs. Since the wrench has unlimited uses, you only need one and you never have to worry about its durability or it breaking.